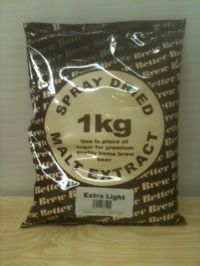 Extra light dried malt extract (DME). Great for all beer styles. Adds extra body and richness. Especially useful when brewing American style beers and light lagers. Made using only the finest premium malts. Spray-dried into a fine soluble powder. 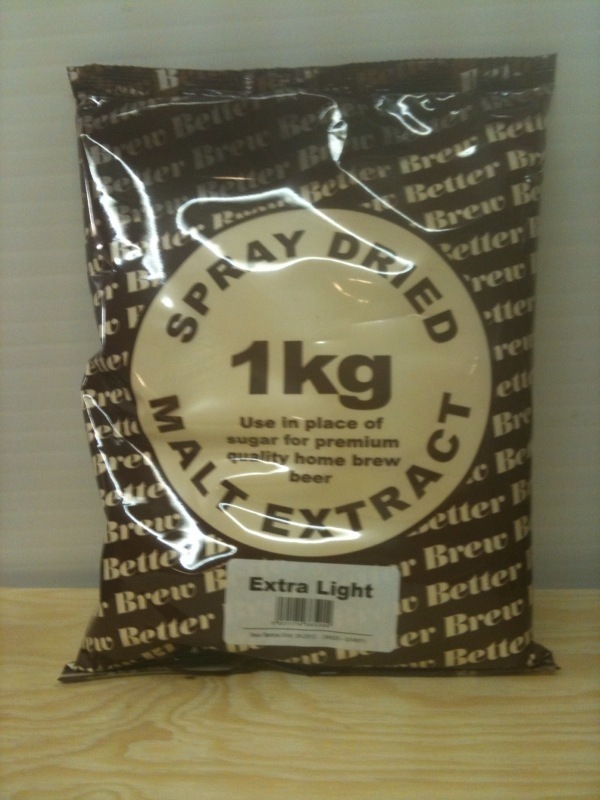 Spraymalts are ideal additions to any recipe, adding extra malt sugars and a delicious malt flavour.